Analysis: Media described it as “controversy… brewing in the GOP booth,” but it was more what Conservative Republicans do – stand on principle. 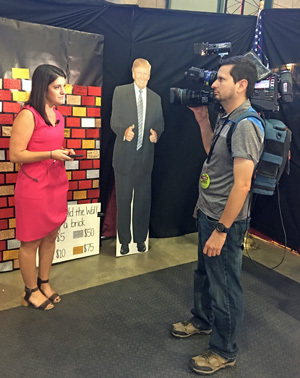 In this case showing support for border security with a display of glitter, paper and fabric that encouraged people to show support for President Donald Trump’s efforts to finish the southern border wall. The “bricks” could be purchased and messages written for display. 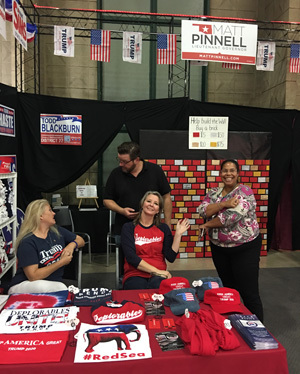 The booth also sold t-shirts, campaign buttons and other merchandise with all funds going to support the Republican Party of Tulsa County and Republican Candidates statewide. What does “Liberal AF” mean? 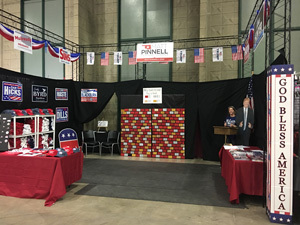 The interesting back story is that the Democrat booth was asserted to have caused the attention focused on the Republican booth. 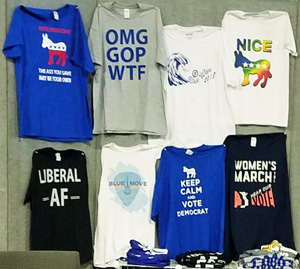 The Democrats featured a t-shirt reading “OMG, GOP, WTF” which offended a volunteer working another booth in the immediate area. That person filed a complaint. When officials investigated that complaint, Democrats suggested, in childlike avoidance and deflection of responsibility, that the Republican booth was racist. “They said they’d gotten complaints that it was offensive,” said Republican David Arnett. “This stuff is offensive in nature,” said social activist Marq Lewis. He says the wall has a not-so-subtle subtext. “The undertone is just racism, and we have a lot of Mexican Americans who are here; we have a lot of people who are from the Dream Act. We have a lot of people where who are contributing to an economy of Tulsa, that’s offensive,” said Lewis. Apparently, enough people complained that fairground officials paid the booth a visit. “A crew from the fairgrounds came to us late last night at about 8:30 and demanded the wall be removed,” said Arnett. So, they took it down, and then after talking with management, put it back up Tuesday. “The wall has made it back up, and let me tell you what, this was actually a point of joy,” said Arnett. 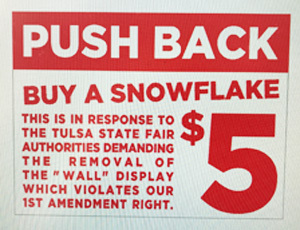 “I think it’s vile and offensive, and we hope that the Tulsa State Fair will say to them, ‘Listen, you know you are offending people,'” said Lewis. “I have a right to speak and to think freely; no one has a right not to be offended,” said Arnett. This sign was displayed briefly then removed when the dispute was resolved with authorities. And to up the ante Tuesday, the booth started selling snowflakes for five bucks. “A snowflake may be a social justice warrior that is so intemperate and transient that they melt at any degree of merit or fact-based discussion,” said Arnett. “They can tout freedom of speech all they want to, but freedom of speech doesn’t have to be vile and offensive,” said Lewis. Click here to view the video from KTUL Channel 8. Other broadcast stations covered the news and returned for comment about the confirmation of now Supreme Court Justice Brett Kavanaugh. Click here for coverage by News on 6. 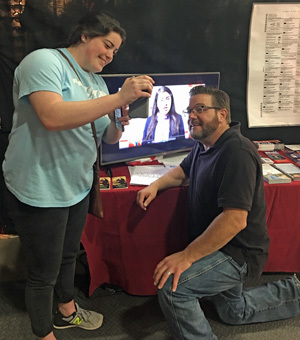 Bloggers and other social media folk also visited the Republican Party of Tulsa County booth both in favor and in protest. Protesters on several occasions loudly read from prepared text. Some didn’t know we could speak as loudly as they could. Some didn’t know we were eager to debate any topic of concern. All quickly saw law enforcement attentive to their disruptive tactics, but multiple GOP volunteers explained, Republicans don’t hate those registered to other parties – that is where we get new Republicans; sane patriots left behind as the Democrat Party becomes hysterical and violent in mobs nationwide. McLain reports that the media coverage drove polling numbers up for Republican candidates in Tulsa County by three percentage points. 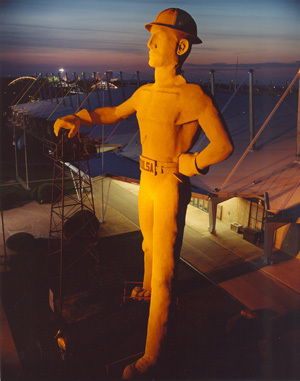 With that increase, heavy traffic at the State Fair by supporters and the highest merchandise sales on record; the Republican Party of Tulsa County experienced the most successful State Fair in history. “Just like our President Donald J. Trump, we found that if we stand tall in truth on principle without fear we win and win again,” said McLain. 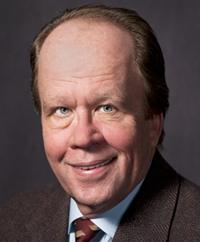 About the author: David Arnett has published Tulsa Today since 1996 – the oldest independent local online news service in the world. A former daily newspaper reporter, radio talk show host and public information manager for the now completed Vision 2025 Tulsa County infrastructure program, Arnett currently provides communications and campaign consulting for select clients. He serves as the Precinct 54 Chairman and the volunteer Communications Chairman for the Republican Party of Tulsa County. Arnett is a musician, loves corny humor and jokes that there are six generations of his family in Tulsa – three of which are planted. This entry was posted in Tulsa Speaks on October 11, 2018 by admin. Most members of the “exhausted majority,” and then some, dislike political correctness. Among the general population, a full 80 percent believe that “political correctness is a problem in our country.” Even young people are uncomfortable with it, including 74 percent ages 24 to 29, and 79 percent under age 24. On this particular issue, the “woke” are in a clear minority across all ages.